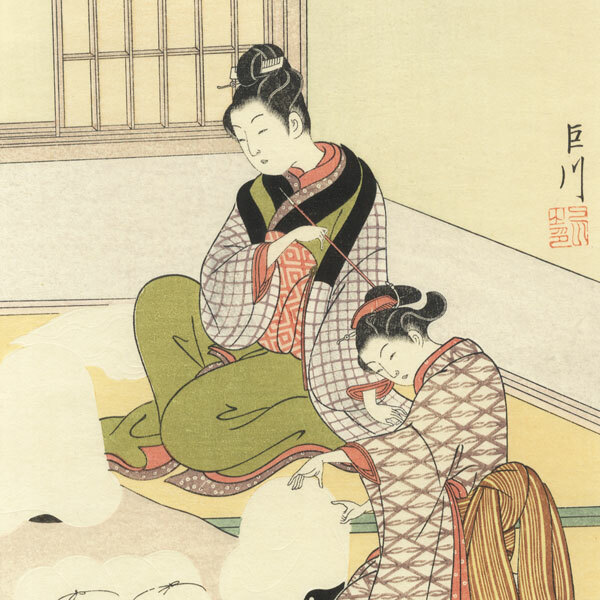 Twilight Snow of the Floss-stretching Form - Lovely Harunobu scene depicting the everyday life of women. 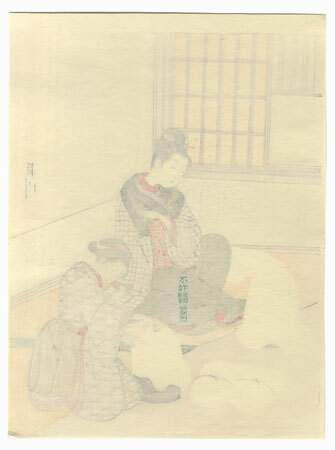 Two women sit in an elegant interior, stretching silk floss over the black lacquered pails used by cotton pickers. The floss on the pail is meant to look like snow on a mountain. Beautiful embossed detail on the folds of the cloth and the diamond pattern on the wall. 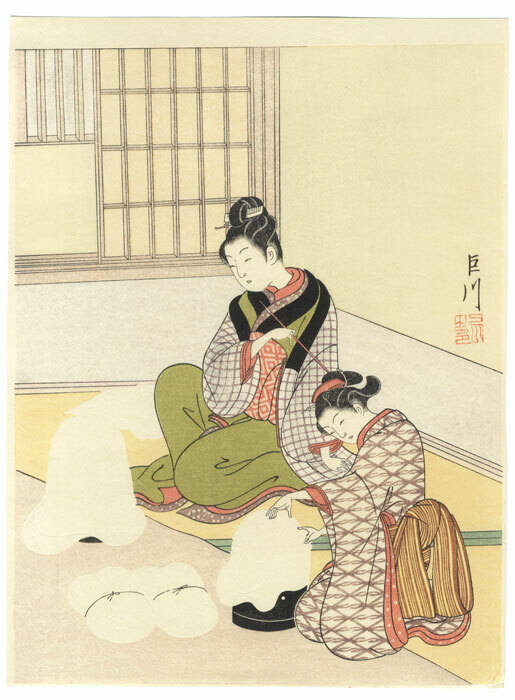 A classic design from a Harunobu series parodying the famous "Eight Views of Omi" using scenes from everyday life.